One hot sunny Sunday afternoon I was traveling the back roads of far northwestern Wisconsin on my scooter. When I spotted a dirt road leading to a canoe landing on the Brule River, I decided to have a look at the water and maybe take some pictures of it. Camera in hand, I wandered down the trail toward the river bank. 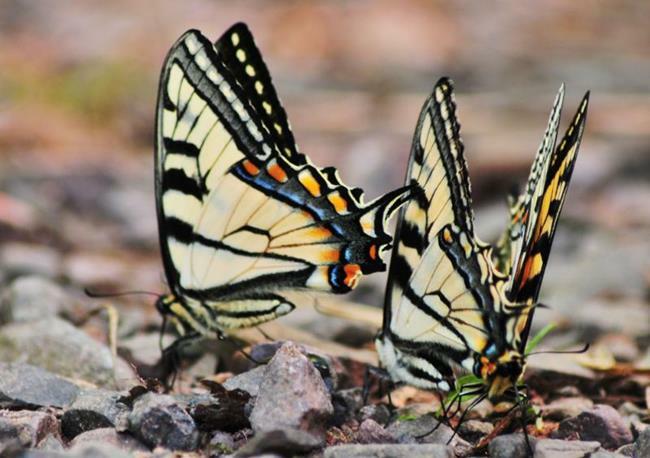 When I arrived, much to my delight, the attraction on this afternoon was not the river itself, but the mating frenzy with about ten Canadian Tiger Swallowtail Butterflies in progress. 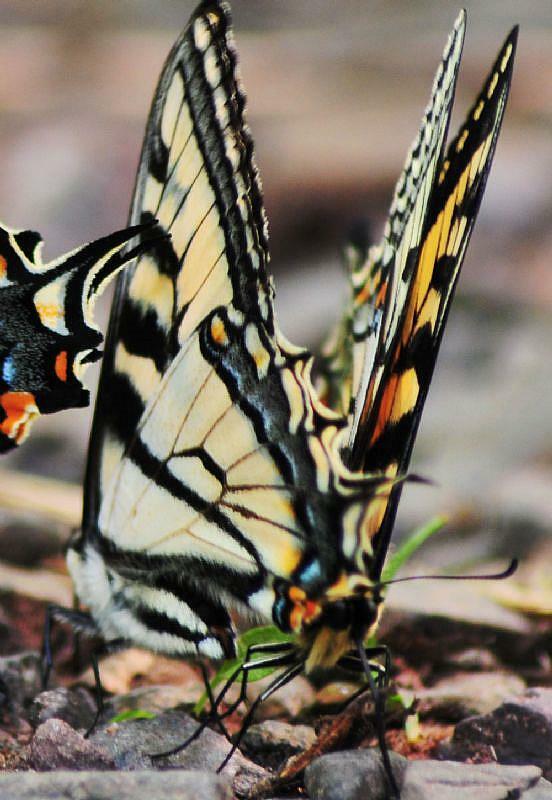 I took several images of the mating frenzy but this is my favorite, because of the way the butterfly in front seems to be glancing behind, either at her suitor, or the third wheel to her right. At any rate, it was pure joy to witness such an occurrence as this, and to have my camera in hand when I happened to stumble across it. Summer is just beginning but I have a feeling it will be hard to top this sighting! 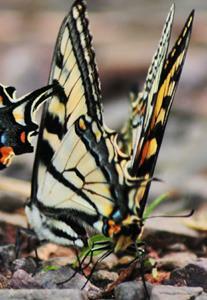 The Canadian Swallowtail is found in North America from central Alaska southeast across Canada and the northern Great Lakes states to northern New England.